I encountered R.G. Bullet first on on twitter (@RGBullet58). His tweets were different. They grabbed my attention. Many new authors come across my reviews and either approach me to review their books or on twitter they add em and then remove me and keep doing so hoping I will ask for a review copy (or at least that is what I am assuming). I waited to see about RG and he just tweeted. His tweets intrigued me enough I asked more about his forthcoming book The 58th Keeper. He sent me some sample chapters and later an eBook of his novella the prequel The 57th Keeper. I was so impressed with that novella that I wanted to find out more about R.G. So here is R.G. in his own words. The only encouragement I really remember from my school days was from one of my English teachers who scribbled in my end of term report: "He writes quite well." And if that sounds lame - it is, but you have to remember this was England in the mid 70's and warmth and a sense of accomplishment was not encouraged, and regular beatings for no apparent reason were somewhat routine back then. I eventually wound myself into a knot of fear while at boarding school and was taken out with something called 'stills' disease. I was paralysed from the neck down. The good news is that the illness miraculously vanished after about a year. I count myself lucky to be walking again, to have escaped that school, and wound up with a sense I could write. All good fun! 2. Who were some of your biggest supporters and contributors to your writing? Without question my immediate family. And to have a green light from a successful literary agent like Laura Rennert was a pivotal point for me. She was excited by "The 58th Keeper" at the time and felt my writing had a great chance. I also received unwavering encouragement and input from my editor, Judy Gitenstein, who was super generous with her time and one of my very first fans. 3. What authors influenced your writing style and format? As a child I remember being really spooked reading Robert Louis Stevenson's "Dr. Jeykll and Mr. Hyde" also Sir Arthur Conan Doyle's "Sherlock Holmes" - a great mix of eccentricity and daring adventure. Plus Mark Twain for his wit. The sense of camaraderie in the "Asterix and Obelix" and "TinTin" comics is wonderful, too. In my teen reading, Michael Crichton's "The First Great Train Robbery" for the first time filled me with awe-it had tremendous pace, history and intrigue that kept me turning the pages. If I open up the eReader right now I can give you a glimpse of what I am currently enjoying. Helen Simonson has captured the essence of England rather nicely in "Major Pettigrew's Last Stand". I have just finished reading Suzanne Collins' "Hunger Games" trilogy and the first two books held my attention. Also current is Jonathan Maberry's "Ghost Road Blues" which is a lot of gritty fun and Barry Eisler's "The Detachment". All superb story tellers. 5. If you had not become a writer what do you think you would be doing for a living? The story spiraled out after I won a scratch card lottery. I split the proceeds with my friend who asked me what I would buy. I said, "A flying carpet," which was a silly answer, but the seeds of The 58th Keeper were sown. The process - while writing The 58th Keeper I would invariably write intense scenes I felt passionate about, that I knew would happen in the arc of the story, and then weave them together later on. It's not an ideal way to write, but it worked for me. Nowadays I trick my mind into writing, which isn't difficult as I love it, but sometimes doing menial tasks like eating and emailing gets in the way. So I kick off with the 48/12 minute game. I set a virtual timer on the task bar with the intent of writing for 48 minutes and then taking a break for twelve. It never works out that way because as once I start writing hours can fly by. After this the first ugly draft emerges. Then it gets bounced off my wife, who has to suffer my typos and strikethroughs. Then it's a matter of re-writing and re-writing, copy and proofing. And perhaps more re-writing. Impossible for me. Music, coffee shops, the internet are massive distractions. I write best in a room while wearing earplugs. Writing from home I'm subjected to constant distractions, usually of my own making. I now know why writers such as Roald Dahl, Mark Twain, Henry Thoreau, Virginia Wolf, Neil Gaiman etc choose to write in huts at the bottom of their gardens. But as I don't have one, I'm considering a boat and anchoring it in the middle of Biscayne Bay. Yes, they are very real. Writing involves me being immersed in the characters. They are always up to something in their 'lives', so I take notes. I am three quarters of the way through "The 58th Keeper" book two. I am doing more in depth research on The Houses of Parliament and Big Ben, which is a central point for The 58th Keeper. 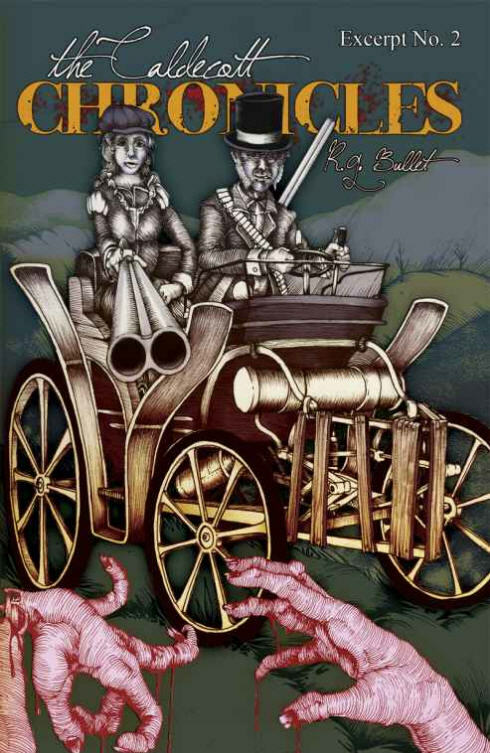 And I have a series of short stories currently out : "The Caldecott Chronicles" which has been enormous fun to write in the YA/steampunk genre. 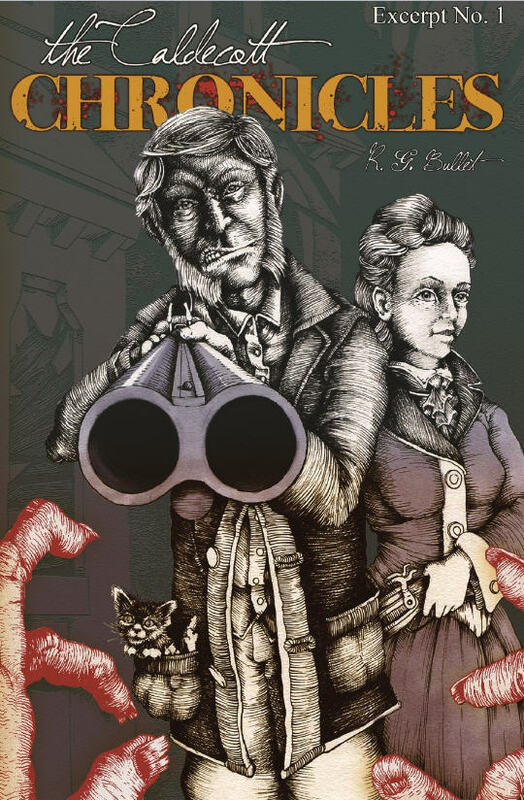 It's about an Earl in the Victorian age and how he deals with...Zombies. Although the word Zombies isn't used (the word wasn't known prior to the 30's) lots of other descriptive terms are bandied about like: undead, ungodly, unclean, uncouth. I am also working on a screenplay. Apart from that I have several book ideas which are brewing and which may mature with time. 10. 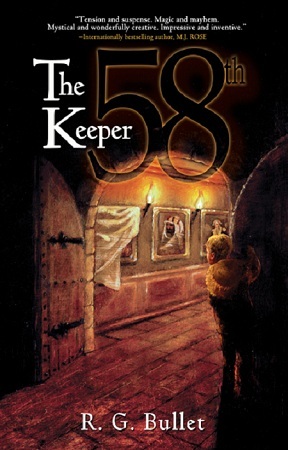 What came first the novel "The 58th Keeper" or the short story "The 57th Keeper"? "The 58th Keeper" came first. The people privy to the initial drafts thought Alturus was a quirky, fun character and kept asking about him. So at the beginning of the year I thought it would be fun to get a glimpse into his background and his short Keepership. He is from Istanbul and got his break as Keeper working on the luxury yachts in Ibiza. 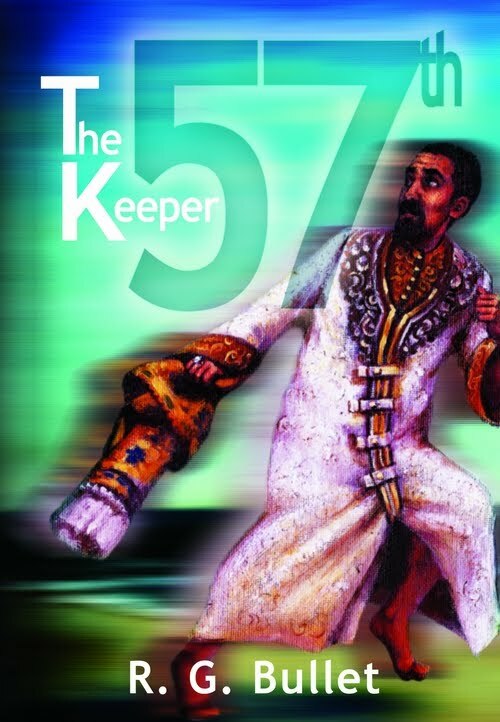 "The 57th Keeper" is a bonus/free eBook that can be read before or after the main story, "The 58th Keeper". It won't spoil the fun-- only add. 11. What is it like working with Silver House Press to bring your books to life? Silverhouse Books is a family run company that are backing me all the way. I know how much heart is put into all the projects, and so I feel the pressure to produce the best stories I can muster. 12. Will there be more books in the Keeper Series? Absolutely. I just had a talk with my good friend who is very excited by the series and asked what number Keeper is up next. He joked 46th? 45th? 44th? I get his point-I could spend the rest of my life writing about different Keepers and the times they lived in. It would be fun, but right now I'm still on book two of "The 58th Keeper" involving Archy, Georgia and Vincent. 13. Some of your books are available in electronic formats but with that comes bootleg distribution. What are your impressions of eBooks and the distribution of them through torrents and other illegal means? I love eBooks and embrace the path they're on. Five or even three years from now the eBook experience is going to be a real thrill. As for torrents-maybe I should be more worried, but as a debut author I haven't given it much thought yet. Neil Gaiman has some interesting viewpoints on it all and tends to think it's not such a big threat, as people who would never buy the books via the normal routes only become aware of his work through torrents. Perhaps they tune in another way and pay for film, or another book. There is a picture book (for adults) out now that was pirated widely, but if it hadn't been, it may never have caught on and reached the charts of Amazon and a wider (paying) fanbase. I also think that once eBooks are set at reasonable prices the readers will be happy to purchase them without flinching. Perhaps the days of $24.95 or $19.95 for a children's hardcover story are coming to an end-perhaps that is why they were pirated in the first place. I interpret the 'think' part of that goal to be autonomous and take the initiative. In which case I agree with your professor. But one goal could be to encourage and stimulate the student's imagination, so they can contribute to their chosen field with flair. It's a two way effort, however. The student must 'think' and show enthusiasm, and the teacher needs to provide the necessary framework and encouragement for the student to grow. Above all, students need to constantly challenge the status quo. I must add I am very intrigued by Peter Thiel's - it's a different mindset and pertains to the entrepreneurial spirit, not for everyone. 16. Completely off topic but what TV shows or movies do you enjoy? 17. If you were stuck on a desert island and could only have 10 books to read again and again, what books would you want with you? 1. "Hitch Hikers Guide to the Galaxy" - Douglas Adams. 2. "SAS Survival Handbook" - -John 'Lofty' Wiseman. 4. "Reality Check" - Guy Kawasaki. 5. "The Power of Now" - Eckhart Tolle. 6. "Caeser" - William Shakespeare. 7. "Robinson Crusoe" - Daniel Defoe. 8. "Case Histories" - Kate Atkinson. 10. "Watership Down" - Richard Adams. 18. What advice would you give to young aspiring authors and artists? Write and keep re-writing till your voice and story emerges. Study why you turn the pages of your favorite books. It will leave clues. Spend more time writing than you do on the net / games / TV. Hang about, learn and follow inspired people. Persistence will pay off. 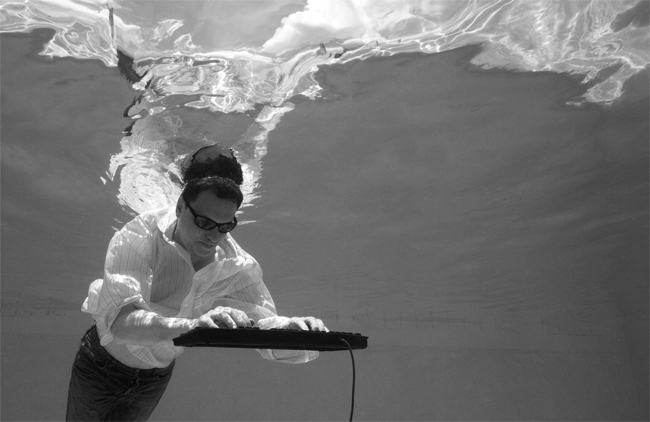 Similar to writers - dive into the craft, keep learning, experimenting and doing it for the love of it. Someone will find you. Thanks for having me. I looking forward to making more friends. R.G. 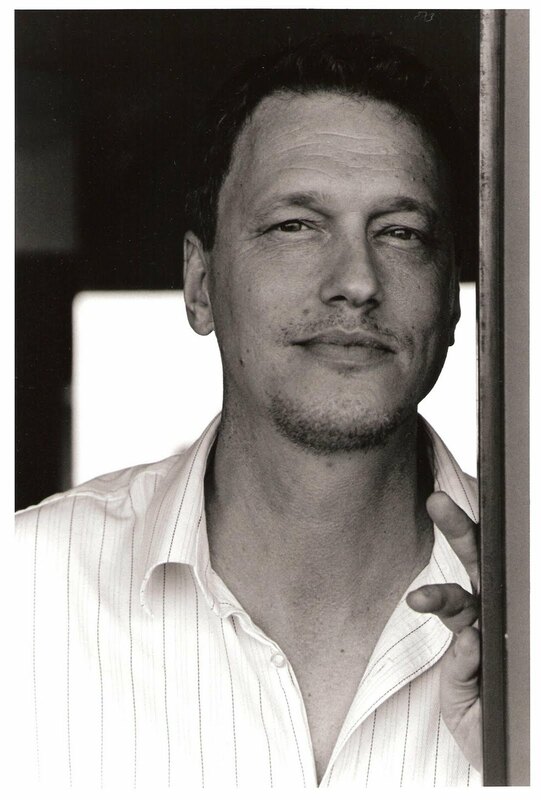 Bullet Can be found online at his website, blog, twitter, facebook and lurking around blogs and other book sites. But most importantly pick up his books and give them a try you will become addicted and like any addict want another hit. So R.G. please write faster! R.G. Bullet was born in Berkshire, UK. After living in nine different countries he has finally settled in Miami Beach, USA. He is addicted to tea, reading, writing, motorbikes and shamefully, Call of Duty. His middle grade debut novel: The 58th Keeper and The Caldecott Chronicles have just been released.